Once, oysters were as much a part of holiday celebrations as cranberries and champagne. <br /><br /> There's never been a better time to revive this tradition. There are dozens of Maine oyster growers who can supply the freshest shellfish for your holiday table. 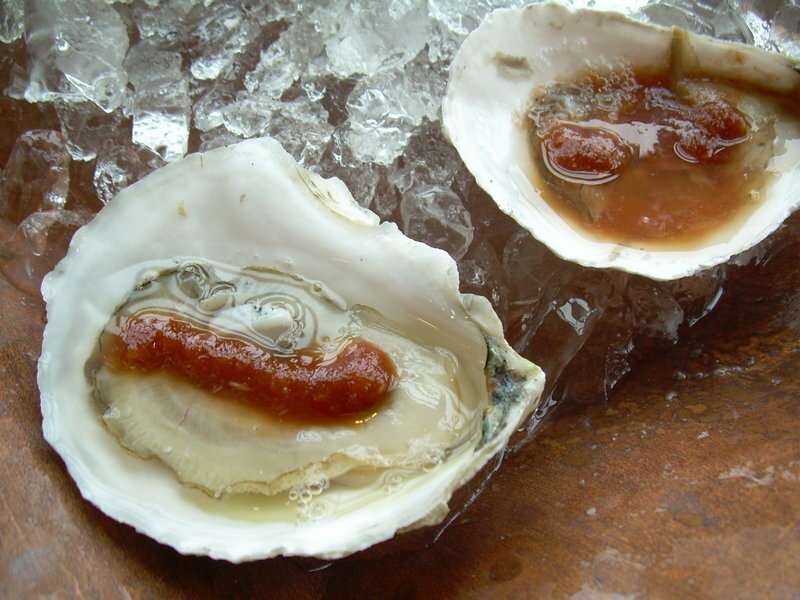 <br /><br /> Toss out the overpowering cocktail sauce and dress them with an oyster mignonette instead, and you'll have an easy yet elegant appetizer to serve at your seasonal parties from Thanksgiving through New Year's Eve. Once, oysters were as much a part of holiday celebrations as cranberries and champagne. There’s never been a better time to revive this tradition. There are dozens of Maine oyster growers who can supply the freshest shellfish for your holiday table. Toss out the overpowering cocktail sauce and dress them with an oyster mignonette instead, and you’ll have an easy yet elegant appetizer to serve at your seasonal parties from Thanksgiving through New Year’s Eve. And it just so happens that November and December are the best time to serve oysters. Oysters go dormant once the water drops below 40 degrees, and they won’t begin feeding again until spring, when the water warms up again. “What that means is they need to build up their food reserves through the fall, just like a bear eats and gets fat before hibernation,” Jacobsen said. “They need to build enough to live off their reserves through that winter. They start feeding like crazy after they spawn in the summer, and through the fall, they’re just chowing down. If the critter has gone to all that trouble fattening up for you, why ruin the experience by drowning its natural flavor in red cocktail sauce — an overpowering condiment that James Beard called “the red menace”? Luckily, oyster mignonettes are making a big comeback. 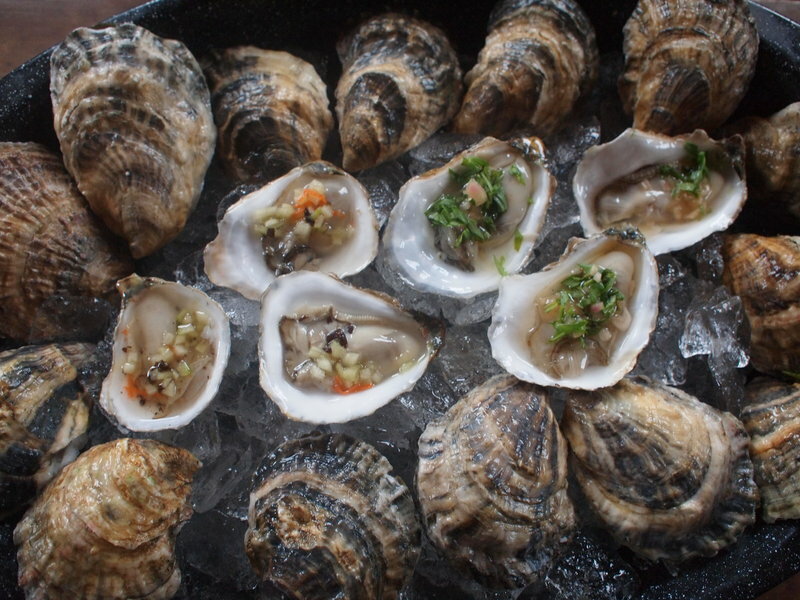 A mignonette is a classic French sauce usually made with wine vinegar, shallots, cracked pepper and lemon. 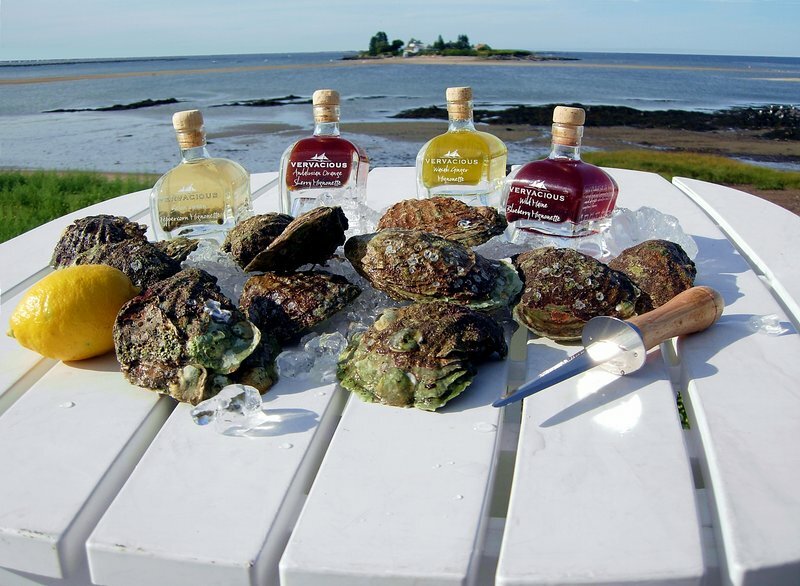 A classic mignonette, says Julie Adams of Muscongous Bay Aquaculture, contains 3/4 cup red or white wine vinegar, 1/4 cup apple cider vinegar, two teaspoons fresh lemon juice, 1/4 cup minced shallots and one tablespoon cracked black pepper. The acid of a mignonette and of that other classic oyster topping– a simple squeeze of lemon with a sprinkling of pepper — helps counterbalance the saltiness of an oyster. Jacobsen prefers citrus mignonettes, perhaps made with blood oranges or Meyer lemons, rather than those made with wine vinegars. He also likes a good iced mignonette. If you don’t want to make your own mignonettes, Vervacious sells a line of mignonettes in flavors such as Andalusian orange sherry and wasabi ginger that are available at the company store on Commercial Street in Portland. 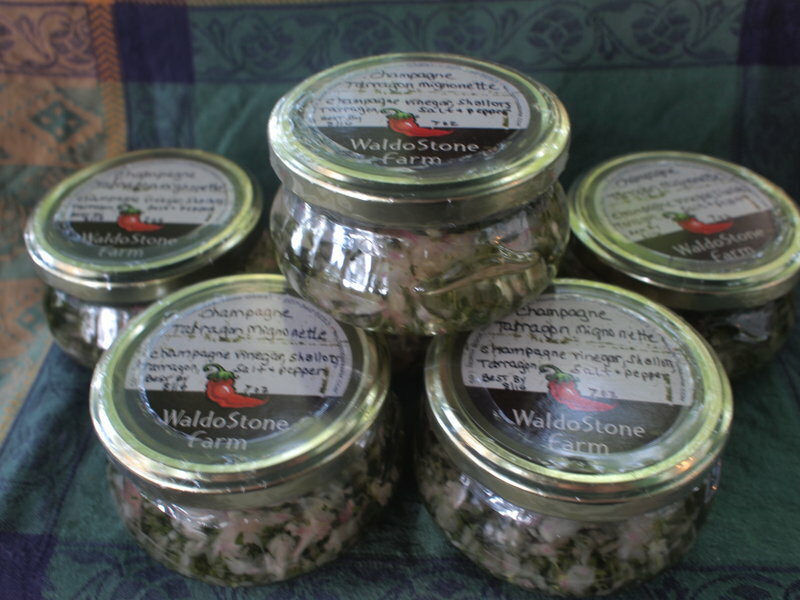 Kayli Lee, owner of WaldoStone Farm in Montville, has developed five new oyster mignonettes: champagne tarragon, salsa, sesame ginger, horseradish lime and seaweed cucumber. The sauces are available now at Jess’s Market in Rockland and Damariscotta Fresh Fish Company, and will be stocked at Harbor Fish Market in Portland in time for the holidays. “They’re good for making salad dressings and making fish marinades, so they’re actually more than just an oyster topping,” Lee said. Mignonettes are extremely popular right now, but there are also other alternatives that are even simpler. Julie Adams developed a Guinness cocktail sauce that has been a big hit at local oyster tastings. She also makes compound butters to pair with grilled oysters. Grilling, both Adams and Peters say, enriches the flavor while maintaining the smooth and delicate texture of the raw oyster. “You still get the salty, oceany tone, but then it’s just really an enhanced flavor,” Peters said. The steam and heat from the grill makes the animal release from the shell, Peters said, and then all you need to do is loosen the oyster with a simple knife or even a spoon. The grilling can even be done on an indoor grill. Adams tops grilled oysters with one of her homemade compound butters. One of her favorites is unsalted butter that has honey added to it, then she incorporates fresh dill, sauteed leeks, shallots and a little white wine. She also makes a spicy and smoky cayenne butter with bacon, sauteed shallots, white wine and pepper. For an Asian twist, Adams adds lime, lemongrass and a little sugar to a sriracha sauce. “That’s fabulous for somebody who likes something hot,” she said. No matter what topping is used, Adams agrees that the holidays are the perfect time to serve oysters.